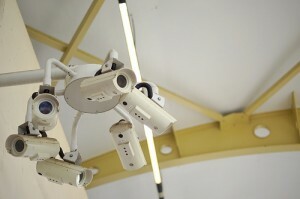 When you walk into any building you are going to see a considerable amount of security cameras. They have cameras situated in the lobby, on the floor, and even in the hallways. Sometimes you might wonder just why they take so many precautions, and to the casual observer it might even seem a bit paranoid. Actually, while some of it might be steeped in paranoia, there are far better reasons to invest in a good affordable cctv camera installation companies palm beach – reasons that may not have occurred to you yet. The first thing you need to understand with these camera systems is that they provide not only security, but also a silent warning to any would-be robbers or vandals. The very presence of a camera is actually a great way to scare intruders off. Why? Because a camera is a silent witness, and a reliable source when it comes to both prosecution and the preservation of your company. That being said, you have all the reason in the world to seek out the best cctv camera installation companies palm beach county. You have probably heard the name before, but a startling number of people do not know what CCTV stands for. The acronym means: Closed Circuit Television. In other words you have a television system existing inside a building that cannot be viewed from the outside. Because the television is on a closed circuit, it cannot be intercepted by any equipment unless that equipment is literally tapped into the network of cables. The other option for viewing a CCTV feed, of course, would be through an IP camera system, or Internet Protocol as it is otherwise known. Internet Protocol cameras capture the same feed as any other camera, but instead of only broadcasting inside the building, you will find that you can view the feed using a smartphone, tablet, or laptop so long as you have the password. This is the one exception to CCTV, unless of course you feel like running a cable to your home off-campus. Why Hire a Service Like Us? Why indeed. There are so many out there who have the skills to simply do it themselves these days, why hire a professional service? The answer is experience and money. Yes, if you have the ability to troubleshoot an A/V system, then you might save a few dollars by doing the work yourself, but are you really, truly saving money? This is the question that you really need to ask yourself. Take into account the amount of personnel that you would have to assign to the task, and then ask yourself how much they know about audio video maintenance. If they already know what they are doing, great, but if they don’t know, then they will likely be learning through trial and error. The last thing you want to do is turn your security system into a learning experience. Assuming you do manage to put a good team together, you will probably find that you cannot afford to pay them, or you will, at best, develop a money leak. There are plenty of potential problems with hiring your own team, and you have every reason to retain the services of a company like ours! When you hire us, you not only have a team that knows what they are doing, but one that will work at a flat rate unless new equipment is involved. As you can see, there are plenty of reasons for you to seek out a professional company, and plenty of reasons for you to invest. In addition to reducing labor costs, you will find that you gain access to advice and consultation which will serve to give you information about a plethora of different camera types. For example you might want to look into an IP/Internet Protocol camera, or perhaps you want to install an infrared camera within your facility. In addition to that some of the higher end cameras are much better at withstanding extreme temperatures, and ultimately performing better in any environment. Along with having access to the best cameras, you will also be informed if there is any significant upgrade to your current security system. In the end, you need to make sure that you have a good system, and you need to ensure that the system is suitable for your environment. Finally, you need to make sure that it will stand the test of time. There is nothing more important than protecting what you have built, especially if you have hired a number of employees to help you continue pushing the business forward. If you are ready to bring your company into the next generation, call for a quote or fill out the form on our website. We will be more than happy to assess your needs and recommend the best possible security system for your operation. There is nothing more important than protection, especially in today’s world.